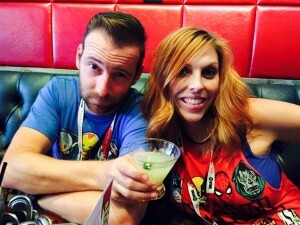 About TPN - Welcome to The Perky Nerd! The idea of The Perky Nerd came about during a winter trip to Chicago. After spending a few frozen minutes (eternity while people are watching!) trying to figure out how to get a baby stroller through the tiny revolving door of the downtown Graham Cracker Comics, the new parents of baby Jack finally found themselves inside getting lost in the multiple worlds and universes have been around for generations and that’s when the idea hit them…Why just visit cons and stores?- could they have one of their own to call home? Something new? Fresh? Different? Close to the end of maternity leave and faced with a return to the 9-5 workforce, Tiffany and Jason pondered the idea opening their own Comic shop. A place where folks could come in, grab their books, maybe a collectible or two, possibly a cup of joe, play a few games, check out fan-art and cosplay, stick around in the lounge area and chat about the latest MCU movie or last night’s episode of Flash – tomorrow night’s Game of Thrones, the next Star Wars film, — but most importantly, a hip, social, cozy, fun place to call home. An evolution to the standard comic shop. The conversation continued for the remainder of the trip as they visited shop after shop from Chicago to Lake Geneva, WI. Returning home to LAX, the two set out to find a new way to compliment the existing comic infrastructure of LA. Capturing the idea of the collectibles/comic stores found in the OC, matched with the energy and ‘frontline-what’s hot today’ vibe found in the LA scene with a dash of “social/lounge conversation” found at Isotope in San Francisco, inner-city shops of Chicago and even far away places such as Diable Blanc in Paris (where if you’re lucky- you just may be asked to stick around after the shop closes to discuss the French love of Captain America while sipping on a Belgian beer or French wine) — that’s the essence of what The Perky Nerd would be. April 23, 2016 will mark the beginning of a new chapter for Tiffany as she takes up reigns as a female, small business owner and opens the doors in Burbank, California- one of a handful (5? 6? 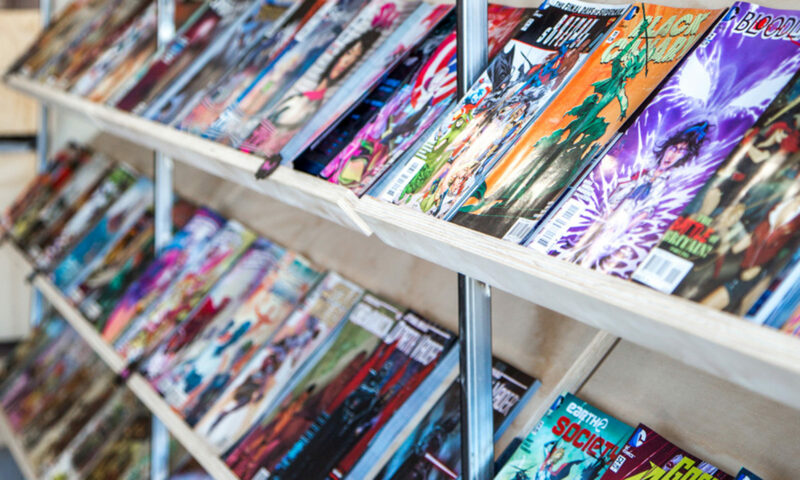 that we know of) female owned comic shops in the entire country! Over time the store will evolve. Eventually it’ll find it’s identity and we hope that you’ll be there to help guide it along the way. It’s as much ours as it is yours. Whether you’re new to comics, a master of “First Appearance Issues” or perhaps you just really enjoyed The Force Awakens and want to revisit Gen-X Memory Lane – this is the place for you. We’re just regular people who happened to be fans. Just like you. *Special Shout to MOLLIE RANIZE over at Dmar Interiors for taking our vision and maximizing it into super hip eye-candy! Couldn’t have done it without you!